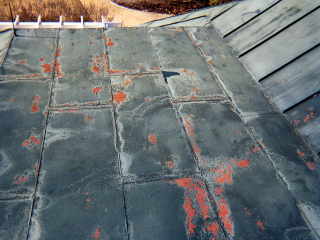 Rust on new metal panels - Roof Menders, Inc.
← Tin roof repair: Nine years later in Honaker, VA. When the metal alloy of modern roofing panels is not compatible with the finish applied at the manufacturing plant, rust can break through in a matter of years. 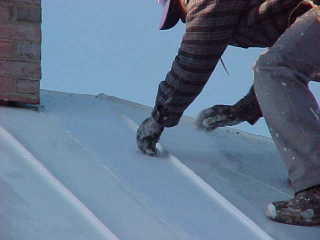 In a situation like the above, we employ stronger primer and multiple layer non-water based coatings. 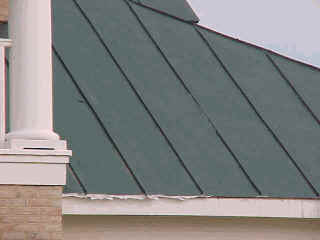 Between several layers of coating, we install a mesh to add integrity and to improve appearance.